@DavidSecurity here at your service! 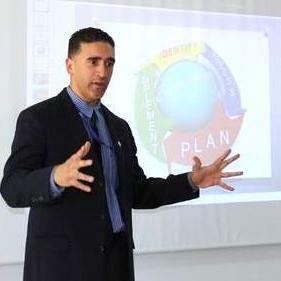 I am a Certified Security Coordinator with extensive Security & Life Safety experience. For more than 15 years I’ve been fortunate to help many International organizations, NGOs, Expats and Travelers THRIVE Safely in Tunisia. I do this by understanding their mission/goal and then providing practical & cost effective security solutions. From the Arab Spring to political upheaval, travel warnings and security upgrades I have helped a wide arrange of organizations & individuals overcome their security challenge. While every situation is different my primary advise remains the same: Empower yourself with Security Awareness so that you can THRIVE SAFELY! Please let me know if I can be of any service to you and remember Security Awareness is the key to optimal success!